Here at Raken, we like to feature the interesting projects that our clients are working on! 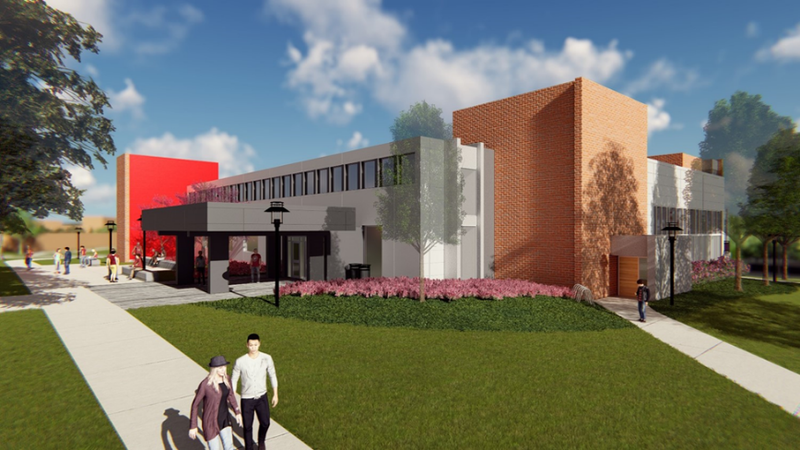 We interviewed Paul Darasz, a superintendent at SLAM Construction Services, who is working on the University of Hartford, Gengras Student Union project. SLAM Construction Services provides clients with the benefits of integrated design and construction services. Offering a single point of responsibility, SLAM provides clients a better way to build - by streamlining the entire process which results in higher quality, faster completion and reduced cost. Their experienced in-house team ensures continuity between design and construction which improves cost efficiencies, maximizes team effectiveness and ensures successful outcomes. Raken: What's your responsibility at your jobsite?Darasz: I am the on-site superintendent. My role is to manage the progress and quality of the work, coordination of the trade contractors work, jobsite safety and sequencing. I provide the team daily reports on the progress of the work, assist with management and coordination of weekly job meetings. Raken: What do you like most about being in construction?Darasz: I enjoy the entire process beginning with the pre-construction effort, assisting with the phasing and logistics and interaction with subcontractors and clients. Raken: What do you like about using our Raken App for construction?Darasz: I like the fact that I can begin to fill out the reports as I walk around the site and not as a single operation at the end of the day. Accessing the device from my phone or tablet makes this possible. I like that the reports show weather conditions and that they look professional and are easy to read. Raken: How much time do you save a day using Raken?Darasz: This report allows me to multi-task. Instead of dedicating an hour at the end of the day, it allows me to complete it throughout the day. You work hard on your projects, and we like to showcase them! If you're interested in having your project featured on our social media and blog, please reach out to us at hello@rakenapp.com for more details!